Of the whole length of the 500 miles of trenches in France, the area on either side of the River Somme was the one which the Germans had made virtually impregnable. As Winston Churchill wrote later "The policy of the French and British commanders had selected as the point for their offensive what was undoubtedly the strongest and most perfectly defended position in the world." The Germans had several advantages when it came to defending their front line in the area. They had fought here in 1870 and had made a special study of this ground in their military academies before the war. They had also had two years without major Allied attacks in which to prepare their positions. A ridge of higher ground cuts across the Somme valley, and the German positions were on the ridge, so that they looked down on the Allies - any attack could easily be seen, and would have to be uphill. Where the line ran through the many villages, the Germans had tunneled beneath them and turned them into virtual fortresses with their front line of trenches just forward of the village. Between the villages were knots of trenches, redoubts, on the crests of ridges. Under the German trenches were large, deep dugouts, defence against the heaviest bombardment. Carefully placed machine-guns on the ridge, or buried in the rubble of the buildings, could inflict a murderous cross-fire on any advancing infantry. All the strong points, dug-outs and machine gun posts were linked by tunnels. Behind the front line trenches were two further complete systems. The line of trenches about to be attacked by the British contained nine of these villages on an eighteen mile front, names which were to become written into history. Originally, the idea of an attack in the area was raised in January 1916, and the Somme was chosen as the point where the British and French armies met, and so could launch a truly co-operative offensive. At first, this was to be a largely French affair, with an attack by sixty divisions over a thirty mile front. The British would support with a series of local attacks over their fifteen mile front to the north of the area. However, the German attack on the French fortress of Verdun, in February 1916, changed everything. As the French lost more and more men at Verdun, so the steady flow of Kitchener's Army into France increased the British strength. Ideally, the plan should have been called off, or at least postponed, but Haig was new to his command and politically in no position to argue. The net result was that, when the battle opened, the French could only field eleven divisions, on a six mile front mainly to the south of the River Somme. Another barrier to a likely victory was that the main thrust was now to be directed against the German positions in the uplands of the Somme, which was the best defended section of the whole area. It was in the face of these problems that the untried masses of the largely volunteer British Army was to go into battle. 1. To relieve pressure on Verdun. 2. To inflict losses on the enemy. 3. To make a gap in the German lines, to restore open warfare and cause a German retreat. A. A five day initial bombardment would smash German strongholds and trenches. B. The Fourth Army, advancing in "wave formation", would occupy the first and eventually the second German trench system from Serre to Maricourt, a fourteen mile front. The French Sixth Army would advance further south. C. The Reserve Army under General Gough, with three cavalry divisions, would pass through the gap to take Bapaume. D. The infantry would then move north, "rolling up" the German trenches towards Arras. The cavalry would advance on Cambrai and Douai. Thus the German front might collapse. E. The Third Army was to attack Gommecourt on "Z" day to provide a diversion of enemy fire. F. If the Somme Thrust was held up, "the most profitable course will probably be to transfer our main efforts rapidly to another position of the British front". Preparations for the forthcoming battle were made, such as the construction of new roads and railways, the laying of 120 miles of water pipes; accommodation prepared for half a million men and 100,000 horses; miles of telephone wire were buried. In addition, mines were tunnelled under enemy strongpoints, such as those on either side of La Boiselle. Barbed wire cages for expected prisoners were built, and Casualty Clearing Stations prepared. Perhaps most ominously, mass graves, half the size of a football pitch, were dug. Longeau, which the Tyneside Scottish passed through on the 6th of May 1916. 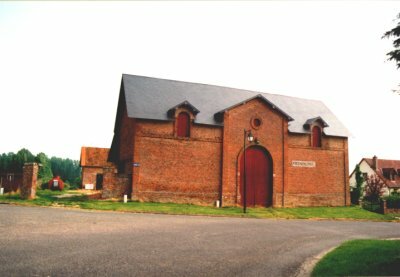 Frehencourt, which they passed through on the 10th May and Behencourt, part of the same day's march. Throughout June 1916 thousands of men converged on Picardy. The Tyneside Scottish had arrived in the previous month, on 6th May, moving south from St Omer by train. 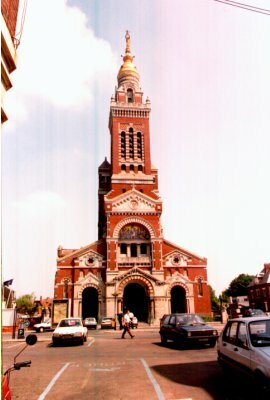 They reached Longeau, just outside Amiens, and marched the eleven miles to St. Gratien, passing through Amiens and Allonville, reaching their billets at 6 p.m. They remained here for four days and then on the evening of 10th marched via Frechencourt and Behencourt to new billets in Franvillers, a distance of some 5 miles. They were now about 7 miles west of Albert, and this was to remain the Battalion's base for the rest of the month. On 11th May 'A' Company moved forward to Albert, to be relieved on 14th by 'D' Company. On the following day they were joined by 'B' Company, and both were relieved by 'B' and 'C' Companies on the 19th, the four companies changing places again on 23rd and 27th. When not in Albert the units moved back to Franvillers. Although not of particular note at the time, a Major Acklom joined the 3rd Tyneside Scottish on 10th May. Casualties for the month were comparatively light; Lt Cosgrow was accidentally killed; Lt Davis was wounded accidentally; 1 private was killed, and 4 were wounded. In addition 1 private is recorded as having been "killed - self inflicted". During this period, the area near the village of Franvillers was used for training purposes, the village of Heilly representing La Boiselle, and the surrounding ground was marked out to represent the British and German trench systems. 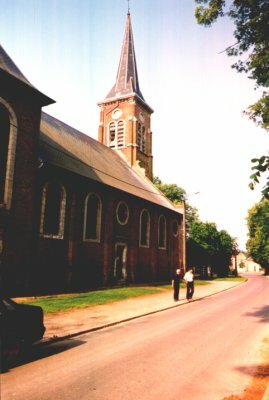 The village of Heilly around which the Tyneside Scottish trained. 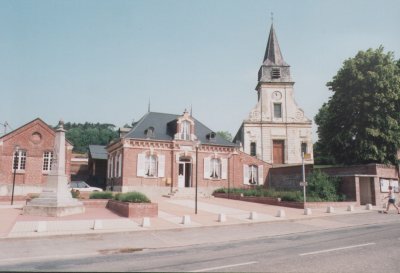 Albert Town Square. Legend had it that should the Virgin fall, the Allies would lose the War. Despite some near misses by German gunners, the statue did not fall. largely due to some carefully placed scaffolding. Today, a museum of items relating to the Somme Battles is located in the passageways beneath the Basilica. 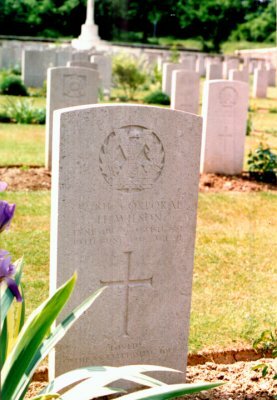 The beginning of June saw 'B' and 'D' Companies in Franvillers, with the other two in Albert. On the night of 3/4th June the Battalion moved into the forward area of trenches and relieved the 11th Suffolks. 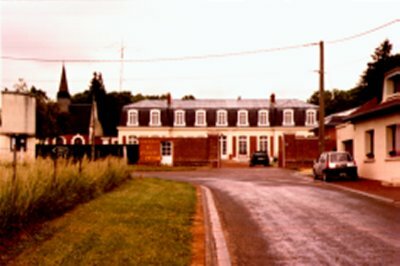 'B' and 'D' Companies were positioned in Dernancourt, a village about one mile south-west of Albert, whilst the other two Companies move to Becourt, just behind the front line to the south-west of La Boiselle. Whilst these moves were taking place the Germans attempted a raid against the sector to the right, held by the 2nd Tyneside Scottish. The 102nd Brigade War Diary records that at 30 minutes after midnight the Germans opened fire with guns of all calibres, and also tear gas shells. Trench mortars and machine guns also kept up an incessant fire. After about an hour an enemy force of between 200 and 300 men raided the trenches on the Brigade's right hand sector, but these were thrown back, leaving one dead and one taken prisoner; both men belonged to the German 110th Infantry Regiment. The Germans continued to shell Albert until about 3.15 am. At about 8.55 in the evening of that same day the enemy again opened fire on the right-hand section of trenches, the 50 minute bombardment demolishing part of the front line. Another attacking force of some 300 Germans was sent over, in two waves, but again these were successfully repulsed. At the same time a force of some 50 men entered the trenches and attacked the Tyneside Scottish in the rear, but were driven out. The Battalion lost 17 men missing, some of these buried under the rubble of the damaged trenches. At daybreak the next morning five German dead were observed lying on the British wire. 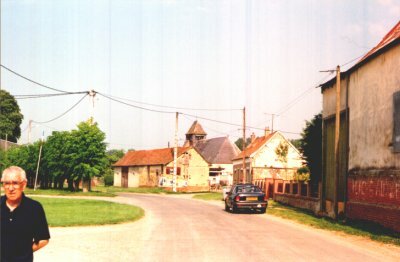 The village of La Boiselle stands on a spur jutting out to the west, and the two long valleys on either side were named by the British 'Sausage' to the south and 'Mash' to the north. 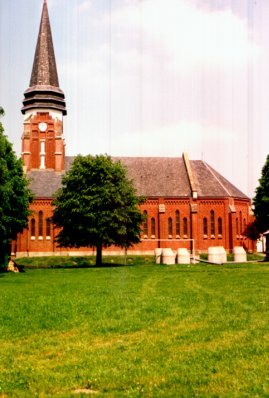 The village itself was behind the German line, and had been heavily fortified. Where the German trenches ran around the spur to the west of the village No-Man's Land was only 50 yards wide, but this distance increased to 800 yards in Mash valley and 250 yards in Sausage valley. The British trenches occupied a ridge running North-South between two redoubts named Tara and Usna, the front line being at the bottom of the west facing slope. The main Albert to Bapaume road cut across the middle of the area held by the Tyneside Scottish. The ground in this area is chalk, and both sides had made use of this by digging extensive tunnel systems with the aim, as mentioned previously, of exploding mines under the opposing force's trenches. These tunnels had actually been commenced as early as January, but work had ceased when it was realised that the noise had alerted the Germans, who tried to dig down and undermine the galleries. However, when the final decision for the battle was made, tunnelling recommenced, this time working silently. This entailed each man carefully levering a piece of chalk out of the tunnel face with a bayonet, and catching it as it fell, passing it back to the man behind. Large pieces, which needed the use of both hands to lever them away, were caught by the second man rather than the digger. Tyneside Scottish from 3rd June 1916. Becourt Chateau, also front line billets, now fully rebuilt. Two nights later the Companies in Dernacourt, along with Battallion HQ, were moved up to Becourt, the latter occupying the remains of the Chateau. Meanwhile, the two companies which had been in Becourt moved forward into the very front line of trenches in front of La Boiselle, coming temporarily under the command of 2nd Tyneside Scottish. On the following night the whole Battalion took over the forward trenches, being dispersed (from left to right) 'D', 'C', 'B' Company with 'A' in reserve. 4th Tyneside Scottish were to the Battalion's left with the King's Own Yorkshire Light Infantry on the other flank. The trenches themselves were found to be badly damaged and work began on repairs. On 10th June the Battalion was relieved in the front line by 2nd Tyneside Scottish, moving back to Becourt Wood, and then were further relieved by the 15th Royal Scots, moving back to Albert. During their stay in the forward trenches the unit suffered 6 men killed and 25 wounded. 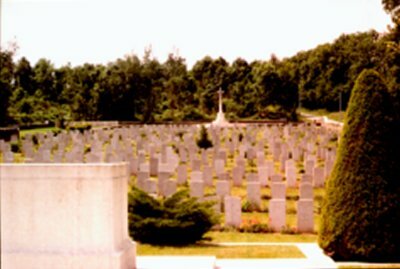 The fatalities actually occurred on the night of the move, and the six men are now buried side-by-side in the Becourt Wood cemetery. area occupied from 10th June 1916. Ptes. S H Ball, J Nattrass, D Reed, J H Burrows and L Thompson. Two nights later the Battalion again moved forward, this time taking over a section of trenches from the 1st Battalion. 'B' Company were positioned on the left with 'A' on the right and 'C' in support. 2 platoons each from 'A' and 'D' Companies were located in the Usna Redoubt. 2nd Devons were to the left and 15th Royal Scots to the right. These positions were held until 24th June, during which time the trenches became very crowded with stores being brought forward "for future movements". On the night of 23/24th June 25 men were gassed when gas was accidentally released from some cylinders which were being prepared. Other casualties suffered during this time were 2 officers wounded, 18 men killed and 33 wounded. The preliminary bombardment of the Battle opened on 24th June, and a hurricane of fire fell on the German positions day and night for the next week. In all, one and a half million shells were fired, at a cost of some £6 million. The sound of the guns was heard in England. The aim of the bombardment was to cut the wire, so clearing paths for the infantry, and to reduce the German defences to virtually nothing. Unfortunately, it did neither. Lanes were cut in the wire, the end result being that the advancing men were channelled into these, providing easy targets for the German machine-guns. And for the Germans, safe in their deep dugouts, the bombardment merely confirmed their assumption that an attack was imminent. Originally the attack was planned for 29th June, but it had begun to rain on the 26th and was still doing so on the morning of 28th, and so at 11 a.m. the decision was made to postpone for 48 hours, until 7.30 a.m. on Saturday, 1st July 1916. On the same night as the barrage began the Battalion was relieved by a Company from the 18th Northumberland Fusiliers (Pioneers) and units from 1st and 4th Tyneside Scottish, moving back to Bresle, not far from Franvillers. Two days later they began moving forward again, when 2 platoons were positioned in the line of trenches running between the Tara and Usna Redoubts. They were followed on the night of 27/28th by 6 more platoons, and on the following night platoons began moving into forward trenches, the remainder of the unit moving up from Bresle. Whilst in the forward position a bombing party of 2 officers and 20 men attempted to cross No-Man's Land with a view to attacking enemy trenches, but were unsuccessful. A second patrol of 1 officer (Lt J MacDonald) and 5 men was then sent out to report on the state of the enemy wire, and if possible enter their trenches and take prisoners. Unfortunately they ran into enemy rifle fire and grenades, and one man was killed, two were wounded and three were reported missing. A similar raid by 4th Tyneside Scottish reached the German front line where they were held up by wire, and a bombing duel took place. The officer in charge and two men were reported missing, presumed killed. Whilst the Infantry units were making their preparations, the various supporting arms of the 102nd Brigade were also moving into position, for example the 18th Battalion NF (the 1st Tyneside Pioneers) were ordered to various pre-battle positions. 'C' Company actually held a section of the front line, HQ and the other three Companies were to bivouac, ready to move into Becourt Wood on Y/Z night. These units would then carry stores and ammunition forward when the battle commenced. In addition two and a half platoons of 'B' Company were to dig a communication trench. 207th Company Royal Engineers were busy excavating a tool store, digging trenches and dugouts, and excavating galleries for an observation post. The CO of 208 Company was instructed to make sure "that the material he is to carry forward is so placed as to be picked up and carried forward without any delay." The 102nd Machine Gun Company recorded that on the afternoon of 26th June smoke clouds were sent over from Albert, and the machine guns opened up with 10 minutes rapid fire, presumably in the direction of La Boiselle. 34th Division's Signal Company had set up communications, the Brigades being linked by buried metallic circuit. The flanking units, 21st Division on the right and 8th on the left, were linked by telephone. Finally, the 102nd Field Ambulance was organising itself in Franvillers. On the last night before the battle, final moves were made which resulted in the 3rd Tyneside Scottish being in position just behind the 2nd, with the 1st and 4th on the left and the Tyneside Irish on the right. The men settled down and waited as best they could for the next morning. Just before the battle, General Rawlinson had under his command eighteen Divisions of Infantry, containing 519,324 men. 60% of the attacking force was to be New Army men. He had over 1,500 guns, one to every 57 yards of front; and there were huge stockpiles of ammunition.